Inside: How these five preschool activity ideas for exploring bubble foam can help you incorporate playful learning in your everyday lives. My kids often have a hard time sitting still. Period. That’s one of the reasons I take them to activities like the classes at our local library. Today, we arrived at the library just in time to line up for the storytime class. All of the other kids filed into the room and sat politely in front of their parent. I, however, picked a seat next to the door, just in case I needed a quick escape like the last time. The librarian began with a few nursery rhymes, but halfway through the first book my kids started to wiggle, and whisper, and stand up to see the pages. After several whispered prompts, distractions, and promises I was able to convince them each time to sit and listen to the story. It’s good for them to practice self-control, and as a former teacher, I know how important this will be later in their life. But by the time we finished the third book, I was so thankful it was over. I felt like I had just worked out by the time it was done. Grab your free slime counting printable game boards for kids here. The fact is my kids have a ton of energy. Which is why I love finding fun, active preschool activities for them to do. I want to create a place where they can have fun, learn and explore all while enjoying the freedom of being a kid. So, with a few clicks on my phone, I added JOHNSON’s® Bubble Bath and a few other supplies to my cart on Walmart and simply waited for them to arrive at my door. Because who has time to run to the store? Not this mama. 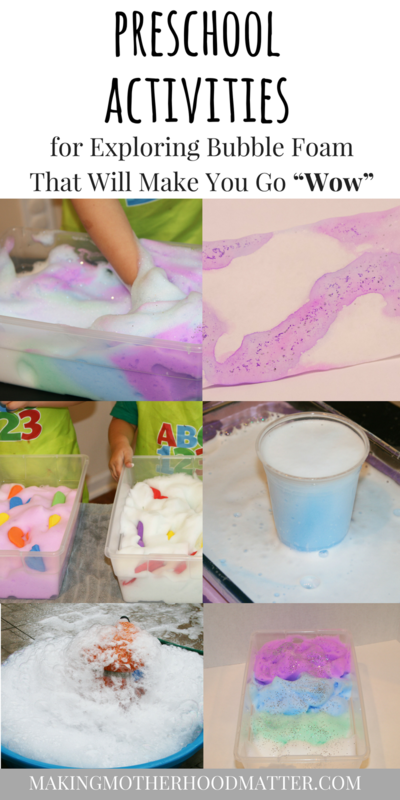 With just a handful of materials, I was able to create five easy bubble foam preschool activities that involve art, play, sensory, literacy, and science. To make the bubble foam base that can be used for each of the following activities, you’ll want to add 3 tablespoons of JOHNSON’s® Bubble Bath to 1/4 cup of water, and liquid watercolor (or food coloring). Add alphabet letters to the bubble foam in a small bin and let your little one hunt to find the letters. For an extra challenge, as they pick the letters out, see if they can name the letter and sound. When creating the bubble foam base, mix up a batch for each of the following colors: white, teal, blue, and purple. Layer the foam in a bin and add glitter. Next, let your little one explore the sensory experience in the galaxy glitter bubble foam. For this activity, put the bubble foam into a baking dish to begin. Add a few drops of liquid watercolor (or food coloring) and let them swirl the color into the mixture. Then, take a piece of paper and gently pat onto the top of the bubbles. When you remove the paper, some bubbles will remain. Let the bubble foam print dry overnight. Ok, this is one of my favorites because it is just so much fun. If it’s warm outside, we make the bubble foam in our driveway, but if it’s cooler, you can also have a bubble foam party in a kiddie pool. To make the DIY bubble foam machine, you will need a bucket, a towel, a wet vacuum, a ratchet strap or rope, and bubble bath. Step 1: Lay a towel on top of a large bucket. Leave a small space for the vacuum and water hose to reach in. Attach the towel with ratchet straps or a strong rope around the top of the bucket. Step 2: Fill the bucket with water and bubble bath. Step 3: Keep the base of the vacuum and the cord away from the bucket and any water or foam. Use caution to make sure the vacuum does NOT touch the foam or get wet (as with any electrical device this could cause a shock), stick the vacuum hose in the bucket and turn it on. Note: Switch the hose to the air exit, then it blows air out, rather than sucking in. For this science experiment, you will need a container, water, bubble bath, paint, baking soda, and vinegar. If you do this activity outside, you can bury the cup in the ground to keep it stable. Otherwise, you can place the cup of water in a bin or baking dish to catch the bubbling eruption. Next, add a few scoops of baking soda to a cup of water. Mix in the bubble bath, and liquid watercolor (or food coloring). Finally, pour in the vinegar and watch the eruption! If you loved these fun preschool activities as much as we did, join us on Messy Mama Happy Kids – Activities for Kids where we share tons of fun activities each week. What are your favorite bubble foam preschool activities? 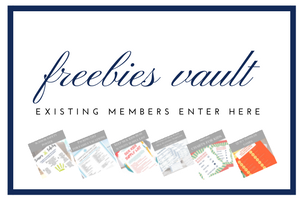 PS – If you liked this, you may also like this Pinterest board for more ideas!